Suite of class-leading 01dB noise and vibration monitoring instruments is now available to rent in Australia exclusively from Air-Met Scientific (Air-Met). Air-Met Rental Manager, Andrew Marom prepares a 01dB DUO sound level meter for dispatch to a new rental customer. The DUO is the most popular 01dB noise monitoring instrument available for long and short-term rental periods. ORION – Smart vibration monitoring terminal. “For some, it’s about keeping costs down without sacrificing access to world-class noise and vibration monitoring equipment for their project. For others, it’s the realities of a tight schedule or one-off monitoring event driving customers to find an easy-to-use but ready-now tool,” added Peter. “01dB equipment renters typically are environmental consultants and occupational hygienists to construction sites, industrial plants and airports,” observed Andrew. When 01dB‘s parent company, ACOEM Group merged with ECOTECH in 2017, a new tri-partied strategic relationship emerged between Air-Met, ECOTECH and one of the world’s largest and most respected acoustic consultancies, Marshall Day Acoustics. When required, Marshall Day Acoustics can also provide comprehensive technical support and advice to customers purchasing or renting 01dB instruments from Air-Met. Coming soon! The first of its kind anywhere in the world outside of Europe, ECOTECH will open a dedicated 01dB equipment service and calibration centre to further support Air-Met customers and other 01dB equipment users. 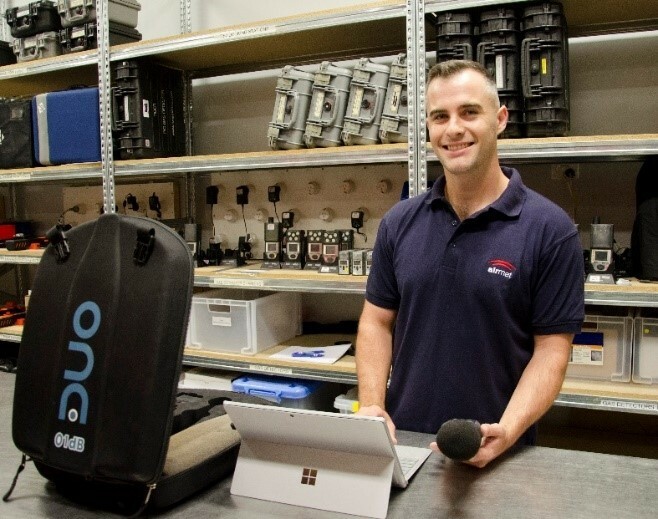 For more information about renting or buying a 01dB DUO, FUSION, CUBE or ORION for your next noise and/or vibration monitoring project, contact Andrew Marom at Air-Met on 1300 137 067.